Remember those braised vegetables that I mentioned in this last-braise-of-the-season post? 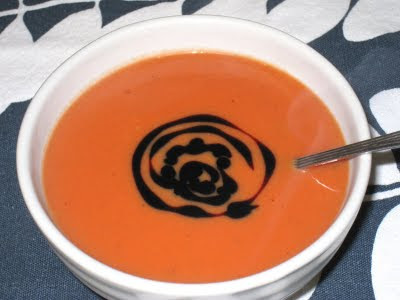 This is the soup I made from them. It was super easy, and most delicious. I don't know if the picture does it justice, but the beets added a beautiful red tinge to the orange and a fresh tartness to the flavor. This is more of a technique than a recipe. You just take your braised (or roasted - also delicious!) vegetables and put them in soup pot with enough chicken or vegetable broth (you can even use water if that's all you have) to just barely cover the vegetables, bring it to a boil, then lower the heat and let it simmer for a few minutes. Using either a stick blender (my preference) or a regular blender, puree the vegetables together until you have a smooth soup. Return to the heat and adjust for seasonings. If it's too thick, add more broth. Finish it off with about 1/4 cup of cream, milk, or even yogurt. 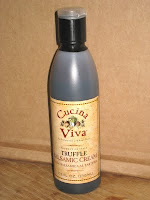 For a garnish, I highly suggest this Cucina Viva Truffle Balsamic Cream that comes from Tuscany. It was a holiday gift from a knitting friend, and it is marvelous. The rich, tart sweetness of the balsamic vinegar is pungently infused with the dark, earthy tone of the truffle. Just a small amount is all you need to bring out the rich, earthy flavors of the root vegetables. I cannot wait to see what other things can be done with this wonderful condiment. In the cold winter months, roasting the vegetables is the way to go. When it gets warmer and you don't want to heat up your house, braised vegetables make an equally delicious dish. If my brief recap up above wasn't enough, the recipe follows. Heat the oil in a large dutch oven over medium-high heat. Add the onion and cook, stirring frequently, until just softened. Add the garlic, carrots and celery and cook another 5 minutes, still stirring frequently. Add the rutabaga, fennel, and beets and cook for another 5 minutes. Add the toasted fennel seeds and cook for 2 minutes more. Add the tomato puree, water, Worcestershire sauce, brown sugar, and apple cider vinegar. Season to taste with salt and pepper. broth or water. Taste and adjust seasoning. 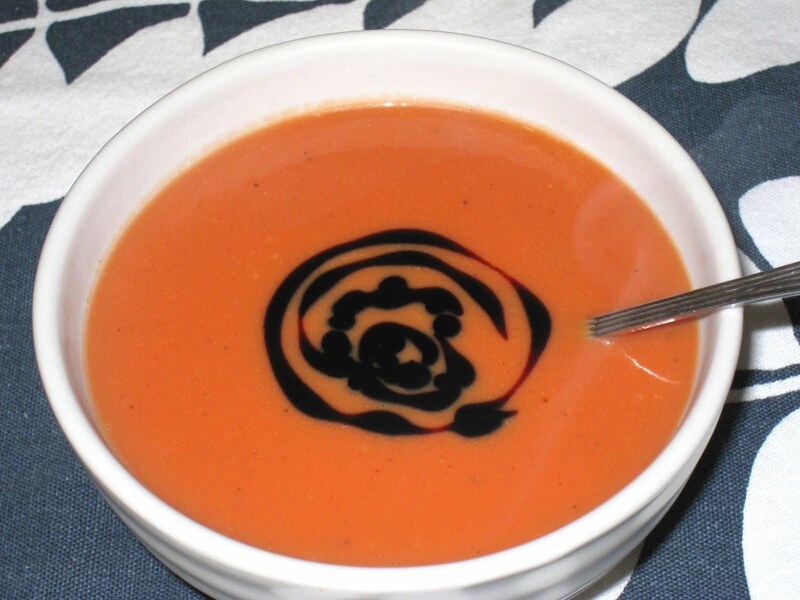 Serve warm, with a small swirl of truffle balsamic cream to garnish.